How did we get to the month of November this fast?! It's hard to believe we only have this month and December left in the year 2016. I hope this year has been a year of growth for you, your spouse, and your marriage. November is a time to focus on all that we have to be thankful for. As I think back over this year, I'm reminded of all the ways I am thankful to God for all He has done in the various situations we've had to walk through this year. One situation that comes to mind is my husband's accident in which he fell off of a ladder at our church while taking down Christmas decorations in January that resulted in an acute concussion. God spared his life and healed him completely. It was a painful and lengthy recovery period, but God was faithful to answer our cries for help and healing. That's just one of many instances that come to my mind as I think back over this past year. My family truly has so much to be thankful for. I hope you'll find some time in which to think about all that you are thankful for as we head into the Thanksgiving holiday. Let me take the time now to wish you and your family a very Happy Thanksgiving! 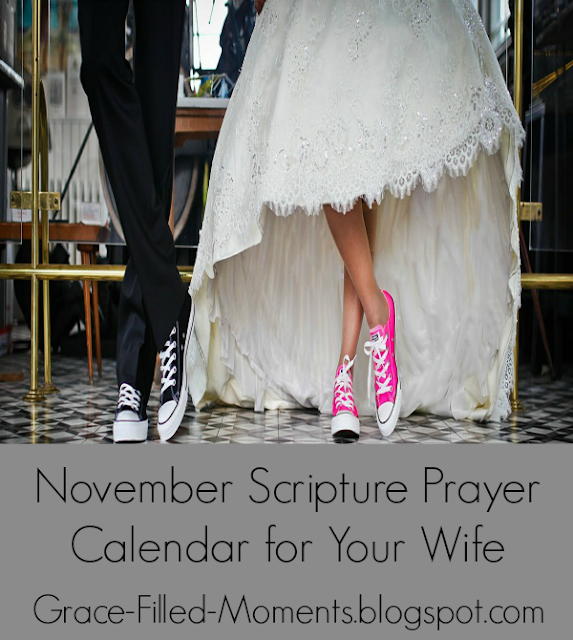 Here are the Scripture Prayer Calendars for the month of November. 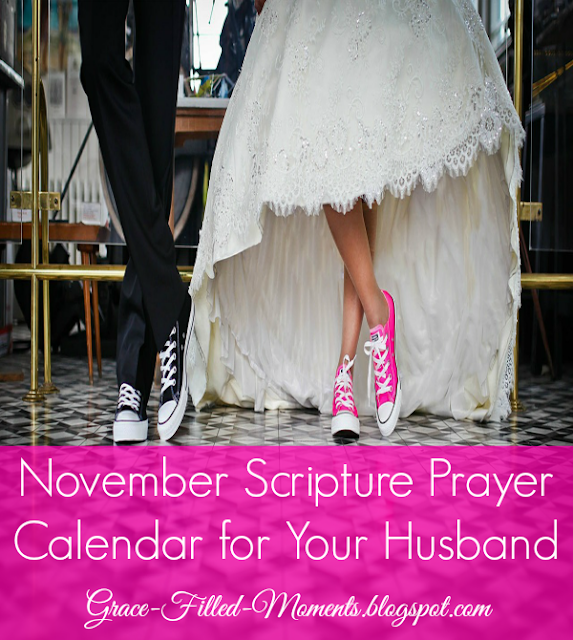 Simply click on the images below to download your free marriage prayer calendar.